We will have a forklift on-site to assist with loading, all purchases must be removed by 6pm Wednesday, 1/30. Buyer will be responsible for takedown of the lifts, additional time will be allowed for lift removal. All of this equipment is operational! D. Jennings TX Lic 12078 All items sold as-is where-is, no guarantees expressed or implied. 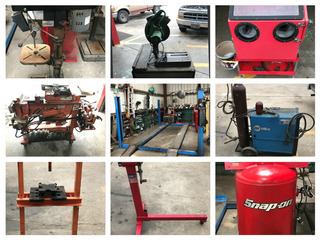 Bidders are encouraged to preview and inspect prior to the auction. 12% buyers premium applies to all purchases. Payment terms are; cash, approved check ,Mastercard, Visa, American Express & Discover. If you are not already established with ELCO Auctions, call 361-726-6243 for check approval or obtain a Bank Letter of Guarantee from your bank. The Bank Letter of Guarantee should be on the bank’s letterhead and be signed by a bank officer.